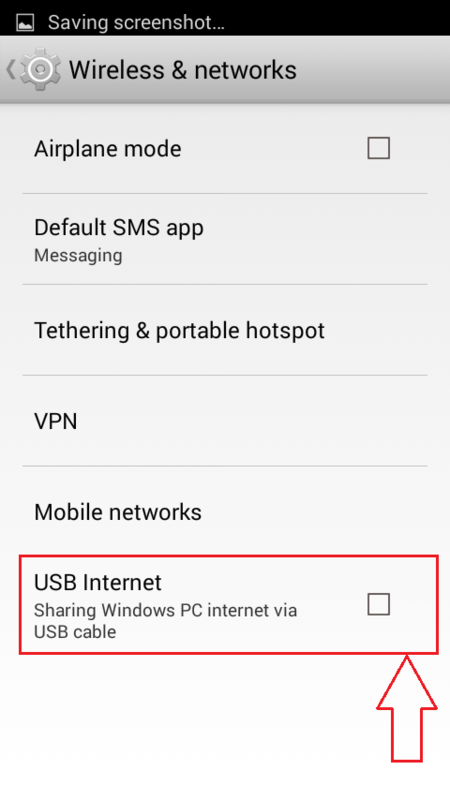 How To Share Your Windows Internet With Your Android Phone VIA USB Cable:- Wondering whether it’s possible to browse through the Internet without WiFi or Mobile data? Yes, it is possible. If your PC has an Internet connection, you can share it with your Android device just by using a USB port and USB cable. Sounds cool? Read on then, this post is for you. First of all, connect your Android phone with your PC via the USB port. Your phone will be connected automatically in the USB Charge Only mode. 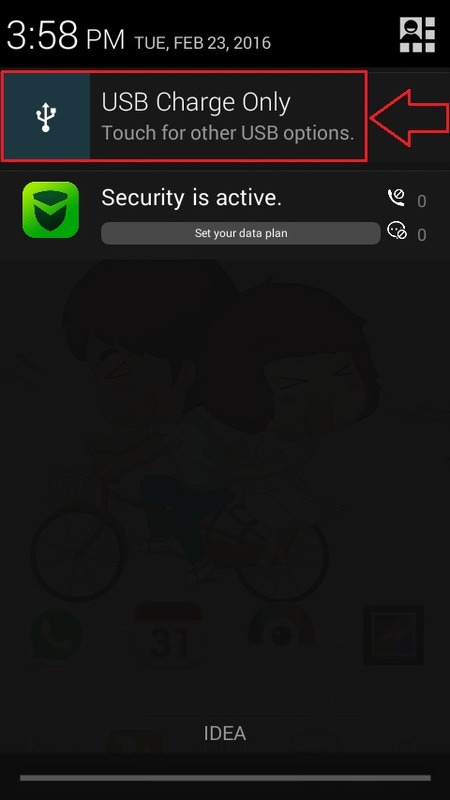 Simply click on the notification as shown in the screenshot. This will open up other options for USB computer connection. Find the section named CONNECT AS under USB computer connection. 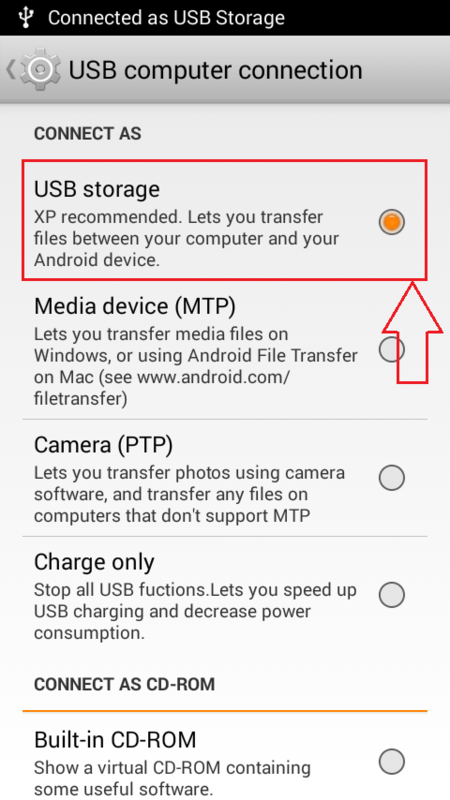 Now check the radio button corresponding to USB storage option as shown in the screenshot. 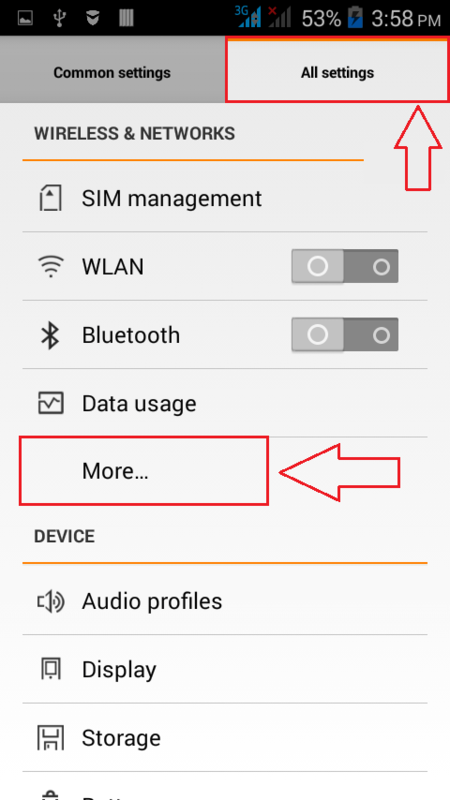 Once you are done, launch the Settings screen in your Android phone. As next, click on the More option under the section WIRELESS & NETWORKS as shown. 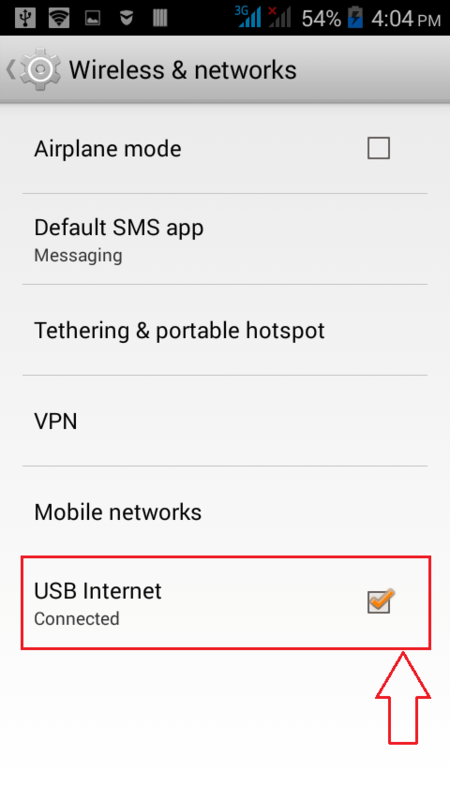 Now find the option named USB Internet under the Wireless & networks section and click on it. 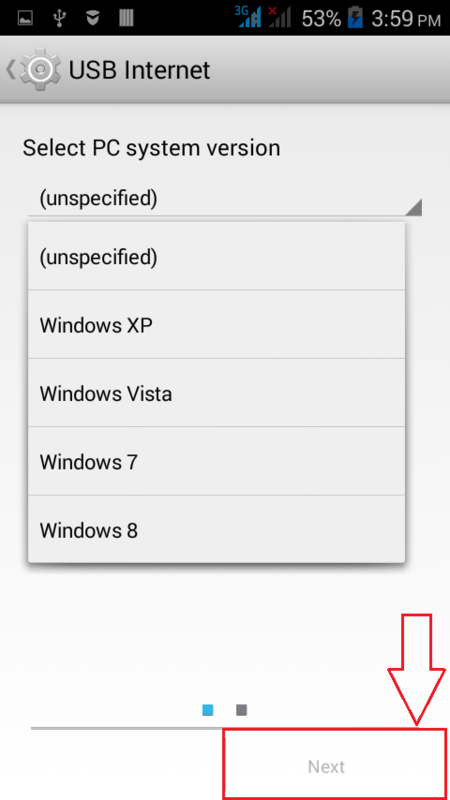 Select your PC system version from the drop down menu. Once you are done, click on the Next button at the bottom of the screen. 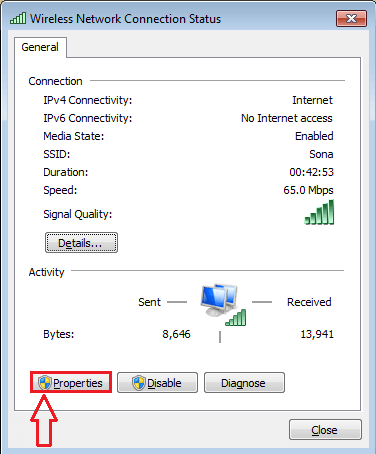 Now you need to open up the Network center in your PC as shown in the screenshot. 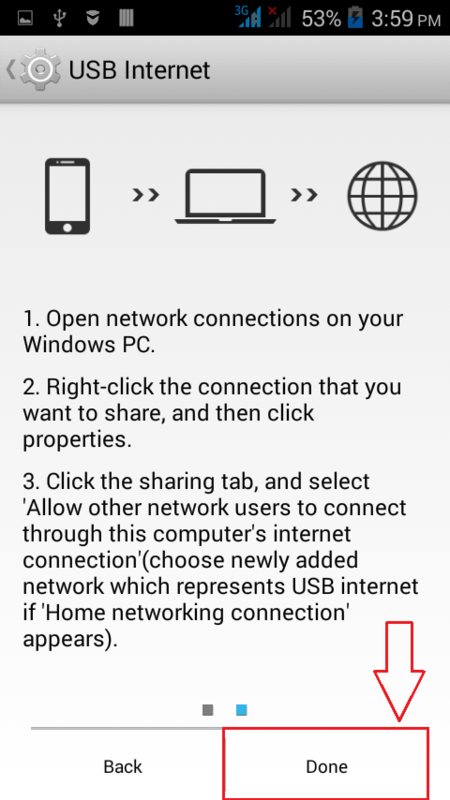 Locate and right click on the network that you want to share with your Android device via USB cable. From the options that gets expanded out, click on Status option or Properties option. 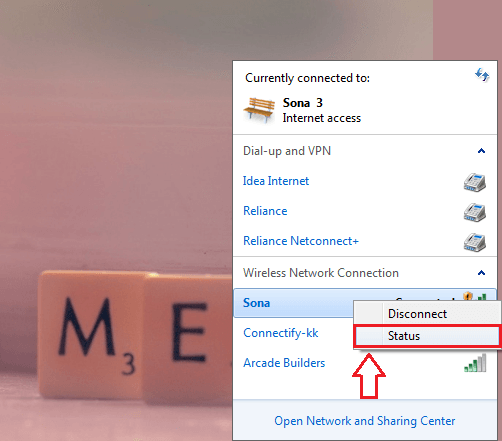 A new window named Wireless Network Connection Status opens up. You need to locate and click on the button named Properties. 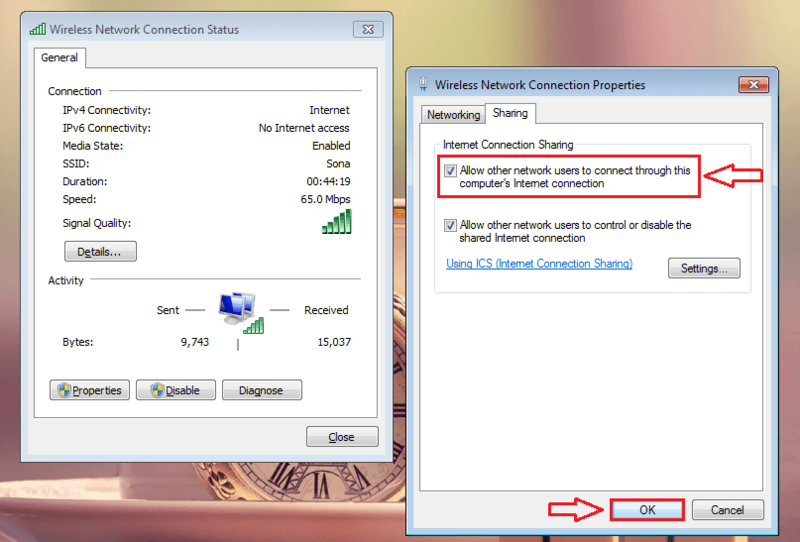 When the Wireless Network Connection Properties window opens up, click on the Sharing tab and check the checkbox that says Allow other network users to connect through this computer’s Internet connection. Once you are done, simply click on the OK button. Now let’s get back to your Android phone from where we left off. Just click on the Done button at the bottom of your phone screen. There you are! Your phone is now equipped to browse through the Internet using your PC’s Internet connection. Try out this trick today itself. Just turn off your WiFi or Mobile data and access any web page via USB cable to amuse your friends. Hope you found the article useful.